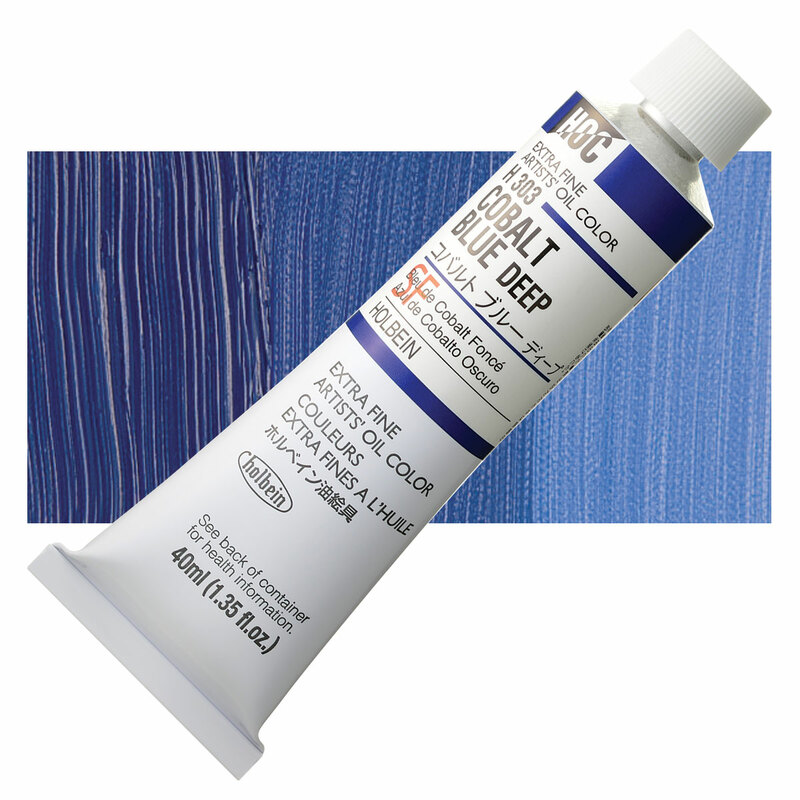 Cobalt blue is a semitransparent pigment with low to moderate tinting strength. When it dries, it appears lighter and less saturated. Pigment particles are large and grainy. Differences in how the pigment is ground and mixed lead to considerable differences in its performance among various manufacturers. Cobalt blue is absolutely lightfast and extraordinarily stable. The stability of cobalt salts at high temperatures make them the standard for blues used in ceramics and glassware. Cobalt salts are toxic. Avoid respiratory and skin contact. Soluble cobalt may cause irritation and allergic reaction through contact with skin. It is considered a possible carcinogen. Since ancient times, smalt blue has been used to color glass and ceramics. Cobalt salts, which give smalt its characteristic blue color, were identified in the 18th century. Techniques for manufacturing Cobalt Blue, a chemically pure salt of cobalt and aluminum oxide, were developed in 1802.